If you've been diagnosed with hypothyroidism — or an underactive thyroid — you may be wondering if it may cause problems during pregnancy or even a miscarriage. In fact, hypothyroidism is linked to miscarriages so it's important to be able to recognize the signs of this condition. The thyroid is a gland in your neck (above your collarbone) that produces hormones involved with many of your body's activities. It plays an important role in your body's metabolic and hormone balance. When something's off with your thyroid, there's a good chance the rest of your body and its processes — including pregnancy — will be affected. Thyroid hormone controls your body's metabolic processes. When you have hypothyroidism, the thyroid does not produce enough thyroid hormone to keep these processes going at their normal rate, and they start slowing down. This can affect many aspects of your health, including whether you have a healthy pregnancy. Research suggests that having an underactive thyroid may be linked with some types of pregnancy loss. A 2000 study found that women with untreated thyroid deficiency had a significantly increased risk of second-trimester miscarriage or stillbirth. A different study in 2005 found that subclinical hypothyroidism (SCH) could mean an increased risk of placental abruption and preterm delivery, both of which can result in later pregnancy loss. The evidence is less clear about a link between hypothyroidism and first-trimester miscarriage. Some studies suggest that thyroid autoimmunity (TAI) may be linked to first-trimester miscarriage, but other studies contradict the link and the matter is still up for debate. A Chinese study published in 2014 found that women with both subclinical hypothyroidism and thyroid autoimmunity have a greater risk of miscarriage between weeks 4 and 8 of their pregnancies. 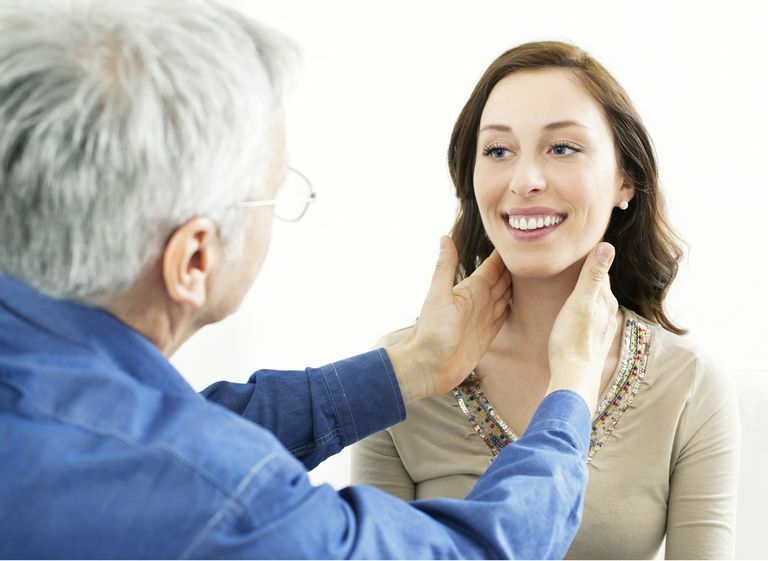 If you are concerned that you may have hypothyroidism, ask your doctor about screening. He or she can make a diagnosis based on your symptoms and a simple blood test. If you do have an underactive thyroid, you will be treated with a synthetic thyroid hormone called levothyroxine. Synthetic levothyroxine is identical to your natural thyroid hormone and is safe for your developing baby. If you were already on levothyroxine before you got pregnant, your doctor will probably increase your dose during your pregnancy to maintain your normal thyroid function. It's best to talk to your doctor about your dose before you become pregnant. During your pregnancy, your thyroid function should be checked every 6 to 8 weeks. Subclinical Hypothyroidism Increases Early Miscarriage Risk. Medscape. November 25, 2014. Hypothyroidism. MedlinePlus. U.S. National Library of Medicine. January 15, 2016. Pregnancy and Thyroid Disease. National Institute of Diabetes and Digestive and Kidney Diseases. April 2012. Thyroid Disease and Pregnancy. American Thyroid Association. Allan, W.C., J.E. Haddow, G.E. Palomaki, J.R. Williams, M.L. Mitchell, R.J. Hermos, J.D. Faix, R.Z. Klein, "Maternal thyroid deficiency and pregnancy complications: implications for population screening." J Med Screen 2000. Accessed 8 May 2008. Casey, Brian M., Jodi S. Dashe, C. Edward Wells, Donald D. McIntire, William Byrd, Kenneth J. Leveno, and F. Gary Cunningham, "Subclinical Hypothyroidism and Pregnancy Outcomes." Obstetrics & Gynecology 2005. Accessed 8 May 2008. Sieiro, Netto L., C. Medina Coeli, E. Micmacher, S. Mamede Da Costa, L. Nazar, D. Galvao, A. Buescu, and M. Vaisman, "Influence of thyroid autoimmunity and maternal age on the risk of miscarriage." Am J Reprod Immunol Nov 2004. Accessed 8 May 2008.